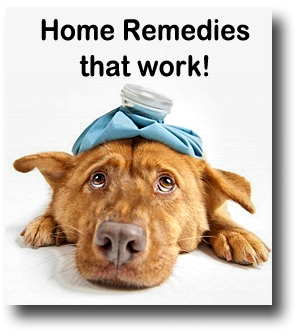 Homeopathic Home Remedies are abundant in your kitchen and your pantry which hold a tremendous amount of remedies for natural healing power. See this list of home remedies that you can start experimenting with as most of us have many of these vegetables or herbs at hand and, knowledge empowers us! Juices made from fresh fruit and vegetables are quick and easy home remedies, they have specific healing properties and can prevent and help heal many conditions. They can also provide us with the nutrients needed to sustain a healthy and happy life as juices provide the body with new energy without depleting the energy needed for digestion. Fruit juices are known for their cleansing abilities during fasting. They purify the blood and eliminate toxins from the cells. Vegetable juices are one of the most potent homeopathic home remedies and help to regenerate and rebuild the body. They help in the production of new cells. Raw juices are usually easily absorbed into the bloodstream. They should be taken on an empty stomach and take roughly 15 minutes to be absorbed. Two glasses of raw juice a day is all that is necessary as a good preventative measure. NOTE: Fruit and vegetable juices should always be made and drunk immediately. Storage changes the frequencies of the ingredients, which then lose their therapeutic effects. Ensure a space for your own home remedies in the kitchen. Turn your kitchen or part of your garden into a productive health bar! Honey is both a food and a medicine used in many homeopathic home remedies. Honey contains potassium, magnesium, iron, calcium, sodium and manganese as well as various vitamins and enzymes. A good rule to honey is that the darker and stronger the honey is, the richer it is in iron and other minerals. When adding honey to your herb teas it is best to allow the tea to cool as heat destroys much of the goodness present in honey. Honey is good for invalids as it is easily digestible. Mix honey with Apple Cider vinegar and water to improve digestive troubles and boost the system to cope with winter chills. One of the best Homeopathic Home Remedies and Immune System Boosters - Chicken Soup! A few organic chicken pieces, washed, do not remove fat. Add all the ingredients together in a pot and simmer this broth slowly for at least 1 hours. Leave to cool before straining. Have once to twice a week, especially throughout winter. Any left over soup (if there is any!) can be frozen for the following week. TIP: A simple rule to healthy eating is to use the leaf, stem, fruit, flower, root and seed together, e.g. carrots, lettuce, spinach, tomato, wild garlic or nasturtium flowers and cucumber. This daily cuppa is one of my favorite homeopathic home remedies and is made by combining alfalfa, nettles, chamomile, dandelion and parsley which creates a wonderful nutrient filled supplement for yourself. Make a little daily pot of this brew and be sure to add a teaspoon of freshly grated ginger. This mix not only gives you the nutrients you require for the day, it also ensures a good balance of all the tissue salts needed for the system to perform at optimum. Alfalfa is rich in beta-carotene and contains many vitamins and minerals essential in maintaining basic good health. Hops are rich in vitamin C and help to ease stress and nervousness. Catnip contains selenium, an anti oxidant and Vitamin B5 which is known as the stress vitamin. Ginger reduces intestinal gases and prevents nausea. It also relaxes the muscles of the intestines. Peppermint calms the muscles of the digestive tract. Parsley is a gentle detoxifier that helps speed up the healing process. Start experimenting with what you have on hand and keep yourself in good health with the results! NOTE: Be sure to obtain information on any herb you do not know, especially if you are on any long-term medication. Cabbage Mash leaves and apply to the skin to draw out poisons and pus. Replace when the mash becomes hot. Beauty Tip: BARLEY is rich in phosphorus, magnesium and B vitamins and also contains calcium and iron. It has a soothing effect on the intestines and is a body building food. Here is an old recipe for a smooth complexion using barley. Try this drink at least once a week. Place cup pearl barley in 10 cups of boiling water and simmer for about 1 hour. Keep the lid on. Squeeze the juice of 2 lemons and 4 oranges keep the skins. (Organic fruit is preferable). Strain the water from the barley into a bowl, add honey to taste as well as the rinds of the oranges and lemons. Allow to get quite cold. Remove the rinds and add the orange and lemon juice. See the following page for MORE natural Beauty Tips!